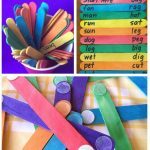 Today I have another frugal literacy tool for you to make when working on identifying certain sounds in words with your children: missing letters clip sticks! These clip sticks are great because you can adapt it to whatever you need at that point in time. We are working on vowel sounds and identifying it as a medial sound, which is very tricky for some kids. 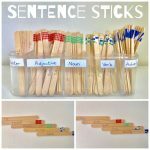 But, you can make sticks that are missing initial sounds, or final sounds, or even blends, digraphs etc. the possibilities are endless! 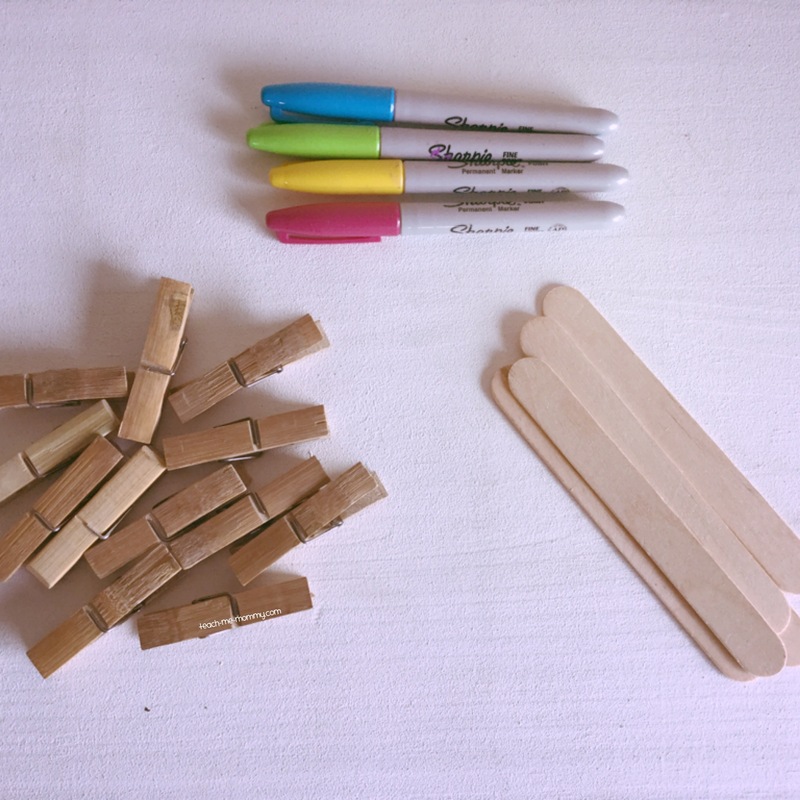 The number of sticks and pegs will depend on how many you want to make, you can always add to your collection as you go along. The child will look at the picture, say the word and identify the sounds in the word. 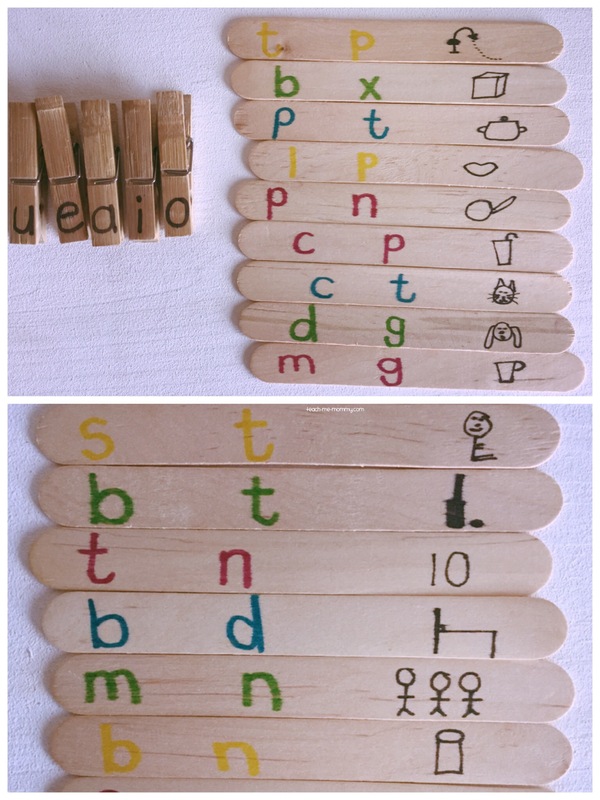 The he/she must choose the vowel peg that is needed to complete the word and clip it on the stick. 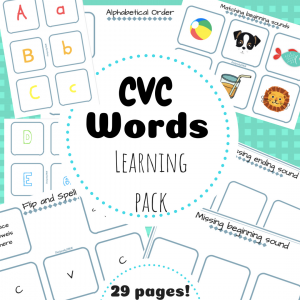 The clipping part is great for fine motor skills too, so bonus! 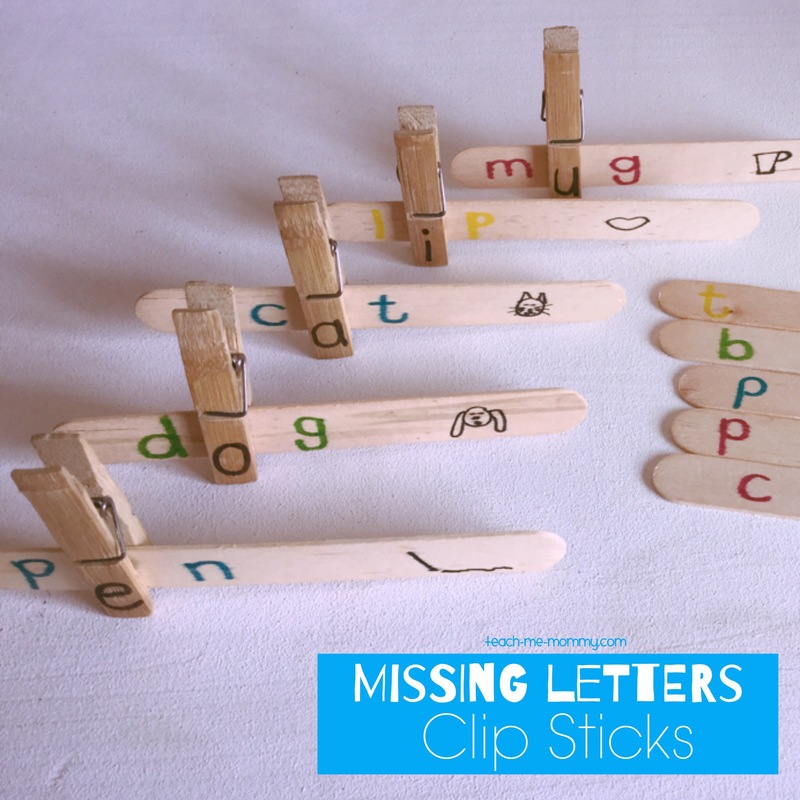 Such and easy and frugal idea to work on identifying missing sounds(phonemes) in words, finding the corresponding letters(grapheme) and working those fingers too!